← Staff pick: Our 1.5″ Wool Topper! 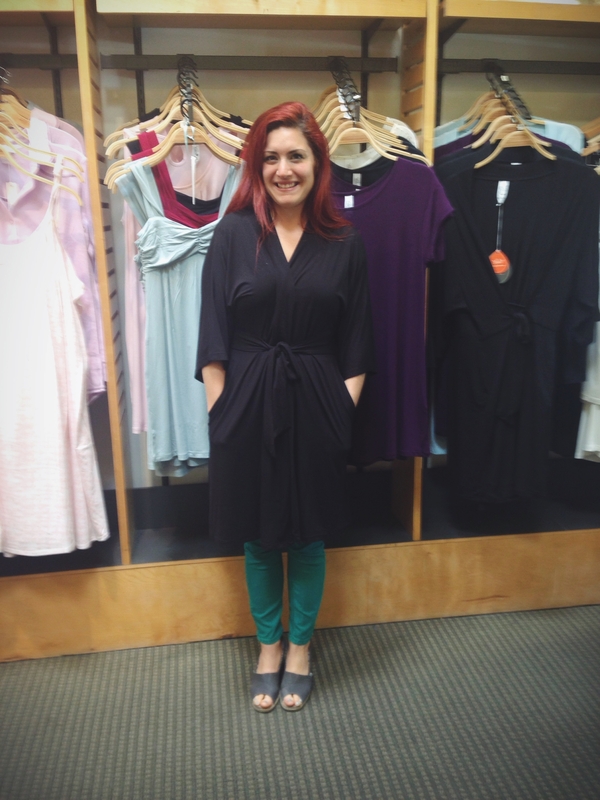 Staff pick: the Yala Nina Robe! Another staff pick! We asked Ricci what her favorite Earthsake product is, and though it took her two full days to finally narrow it down, she settled on Yala’s very soft and comfy bamboo Nina Robe. Ricci: It was very hard for me to pick just one… but I’ll go with the Nina Robe by Yala. It’s super soft, has pockets, and the rope is attached so I never lose it. Do you own the Nina Robe? Why? Ricci: Yes! I have it in black. Though I wish I had gotten the polka dots… I might have to own both. Would you recommend the Nina Robe by Yala? Ricci: I would, definitely. It’s light-weight, perfect for travel, and washes VERY well. The Nina is also gathered at the waist, making for a much more flattering fit. The bamboo is so, so soft – don’t be surprised if you fall asleep in it!